The Flipkart-Walmart acquisition was announced back in May this year, but it is only now that India’s antitrust regulator Competition Commission of India (CCI) has given the $16 billion deal its seal of approval. This much-awaited decision has finally received approval despite the constant protests by India’s trader’s association CAIT, who fears that Walmart entry in the country could mean an end for the small-scale retailers. The CCI tweeted out the confirmation of the deal from their official Twitter handle earlier on Wednesday evening. Though CCI didn’t elaborate any further on its decision, its order for this acquisition deal said that Flipkart’s discounting practices will need to be kept under check and dealt with separately. They believe it’s an issue of utmost significance, especially with the ongoing draft policy work that places restrictions on discounts offered by online marketplaces. It is most unfortunate that leaving aside the objections raised by CAIT with CCI, the commission has approved the deal. We will move the Delhi high court and even Supreme Court if needed against the decision of CCI. Khandelwal had previously said that the acquisition circumvents laws and will offend FDI policy once it is approved, creating an uneven level playing field for traders in India. Now, we’ll need to wait and see the steps taken by the trader’s association to try and block the deal, which seems to be done and dusted. Flipkart has already started expanding its offerings, with the recent launch of Flipkart Plus (which will go up against Amazon Prime), plans to shut down eBay India and launch their new used goods platform to take on OLX/ Quikr, and the launch of Flipkart Supermart to enter the grocery delivery market. 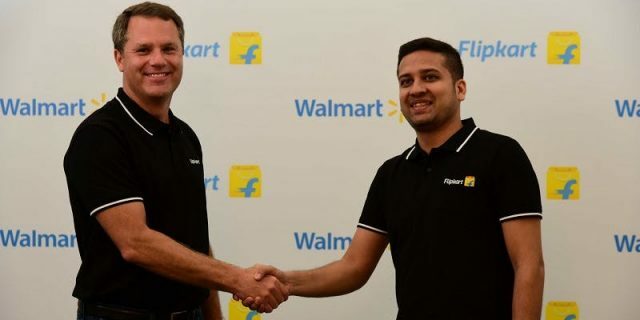 So, does the future look bright for Flipkart? Let us know your thoughts in the comments below.